sweating, having toiled several gas cylinders around the country. They also looked at their brake rigging and some windows on the Third Open. Back at the station, the Foremen were not quite so warm but carried onbwith the Friday ritual of gate repairs followed by some indoor painting. Rejoice!! 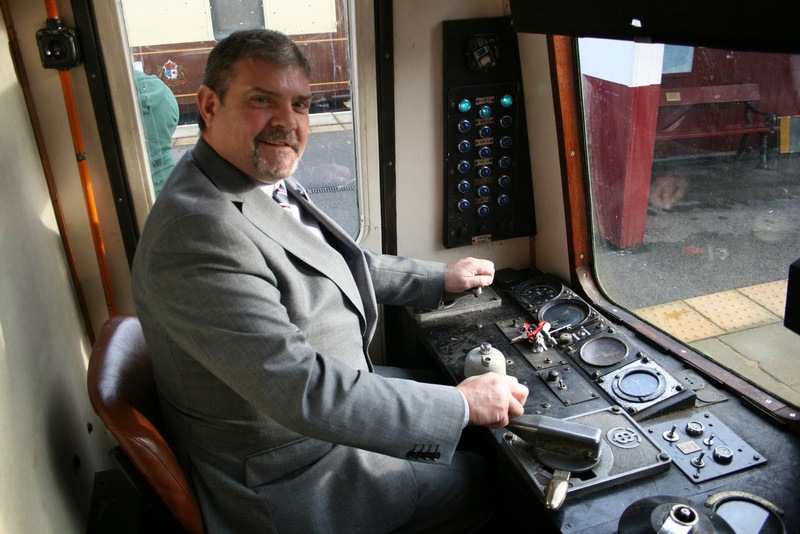 We have achieved the first sale of a GOLD Steam Driver Experience Day. It is a tribute to our Booking Hall that we have landed our biggest fish and now we have to deliver! 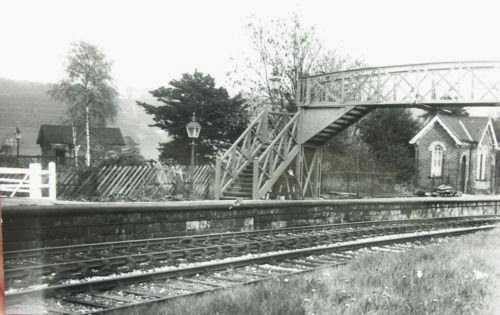 The PWT returned to an unpleasant Duffield to end their week with all crossing timbers in place and the metal work placed upon it. Next week will see the trackwork screwed down, jacked and packed. Quite a challenge for all involved in the most miserable of weather. A couple of photos from Richard capture the scale of the job. We should be very pleased that our team are prepared to keep working in cold and wet conditions. The M1M continued to work on their Second Open and the extensive dmu team continued to work on a "B" exam for 55012. 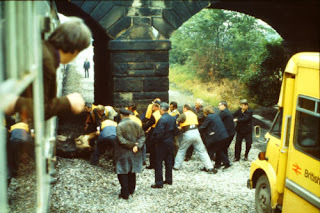 This was used as training exercise as that more members of the team gain qualifications undertake this activity. I think in modern speak it is called skills transfer and we are grateful to the older members of the team are willingly passing their knowledge to the next generation. Happily the Network Rail contractors walling team continued their work and MRX had their first "walking stick" calibration day. The PWT made significant inroads to the renewal of crossing timbers at Duffield North in the most unpleasant conditions and the team deserve our gratitude for forging on with this project within a fairly short window of opportunity this year. It was good to see the Network Rail walling team continuing their endeavours in the driving rain and the LMSCA returned to the renovation of the Third Open which will be a Rolls Royce of restorations. The Booking Hall had a slightly quieter day today but a MyTestTrack booking cheered the spirits. A viewer of our webcams from California troubled by signs of smoke in the area of the Wash Green bridge was reassured that this was planned work but was disappointed that my chartered jet had been cancelled preventing a visit to that State. 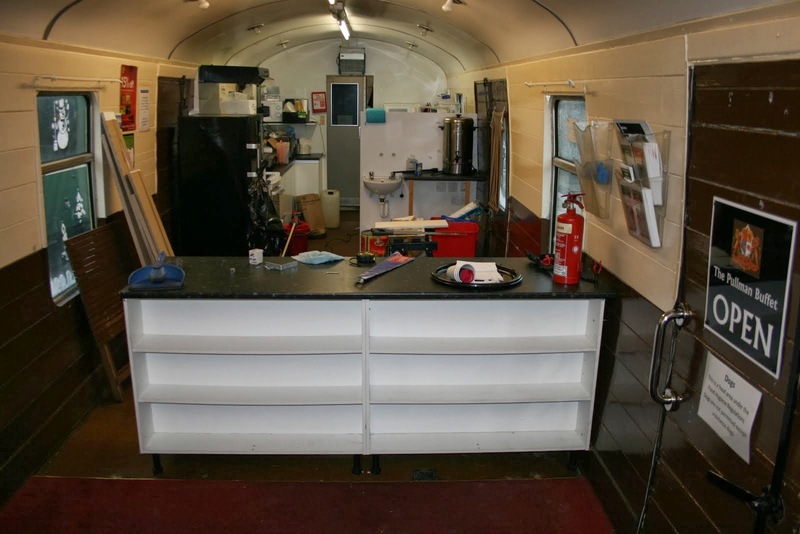 The Pullman Buffet Car modifications are progressing to give a more logical working area behind the counter and this is illustrated by today's photo. Another very busy day with the VCT returning to MP 134 for further cutting and burning together with Mike the Flail trying to resolve some deep seated problems with the Komatsu's hydraulic pump. The PWT set off for Duffield and emptied the Rudd of surplus material gathered from Gorsey Bank en route. 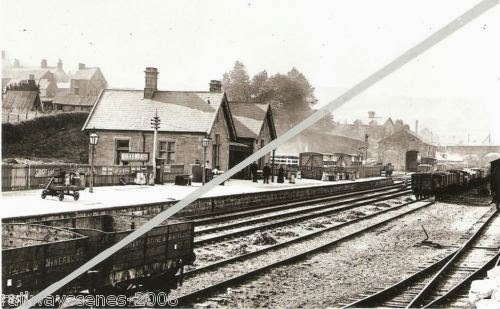 They are now at Duffield with the Works Train and Kamatsu with the Landrover as transport between the work sites. 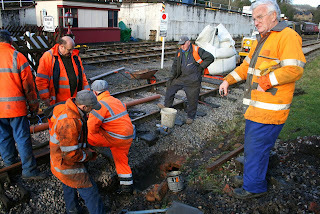 Dismantling of Duffield North has commenced which will occupy the team for some days. The DST has continued on their endeavours to equip Henry Ellison with steam heating and pondered over where they go with Cathryn. 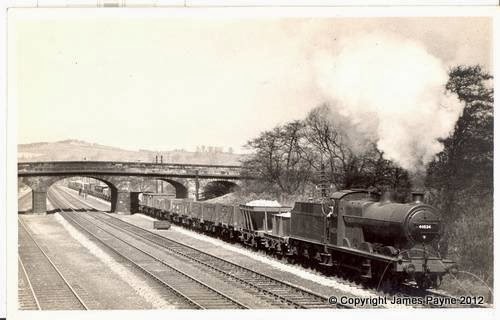 My challenge for them to crew a steam engine in the school holiday weekdays has resulted in a tepid response which means we will have to seek crew from other railways to deliver what is required. The dmu team have tended to the paintwork within the interior of the guards brake area and given the vehicle a "B" exam to deal with demands over the next couple of months. The Buffet Car modifications are gently proceding and our new Filing Fairy, John, has been updating and checking files for our key operating personnel. 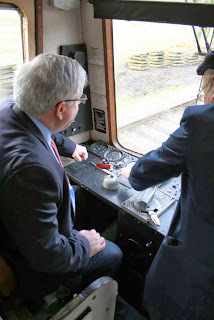 Modifications of the Pullman Buffet Car gently progressed with power and water restored and we were pleased to welcome Network Rail's contractors for some remedial work to the wall above the narrow gauge. There was a feeling of some triumph in the Booking Hall as the number of coach operator bookings reaches stratopheric levels. They deserve a photo with a random shopper searching for high value iteams. An email was received from California today enquiing about the appearance of smoke under Cemetery Lane bridge visible on our webcam. I replied that it was the result of all the team huddling together to keep warm. Must be nice in California this time of year. It is place I thought it might visit this morning on my private jet as the web shop indicted that a customer had paid £100,000,000.00 for a driving experience. Have stood down the transport as the money doesn't seem to have arrived in PayPal yet. Even by Wirksworth standards the weather today was pretty foul until well after lunch. Nevertheless we braved our way through. The DMU team occupied themselves with unit 50253 and engaged in historic Formica recovery, Destination Box refurbishment, and stripping. (Their team calendar "Tarp Tuggers of Wirksworth" will be available shortly, as a *cough* special purchase). The Booking Hall assisted a number of waterlogged and rather limp cyclists in the morning and in the afternoon Stokes and Shone Industries fabricated a new counter door to go with the new counter. Further details of these quality training experiences will be available from John Evans. An almost pleasant winter day, almost in the sense of being almost sunny. Down the yard the LMSCA carried on with their marathon efforts in the Third Open. At the station the presence of wet knees highlighted the process of cleaning the Booking Hall carpet, or that part of it we inherited from Vince's lounge, and naturally we hope to get another 300 years of wear out of it. Also around the station, the Foremen had a day of gates, and both platform entrance gates are now back to their non-stick normality. The Main Gate has had its bolt receiver repaired and can now be left open in the correct position. Work has also started on some overdue cosmetic improvements to the Extra Ladies. For those of you who may be feeling winter round your parts, the Booking Hall has received a vast new supply of woolly hats in our usual tasteful burgundy with EVR in gold on the front. These will be about £8 for staff and are the very latest in Haute Couture, or owt cootewer as they say in Yorkshire. One size fits all. A slight delay on this report owing to a sudden attack of man flu - traditional remedies being applied. The VCT returned to the area of MP134 reporting a seven men turnout and three substantial fires. The also enjoyed the gratitude of the Footpaths Officer for their swamp work last week. 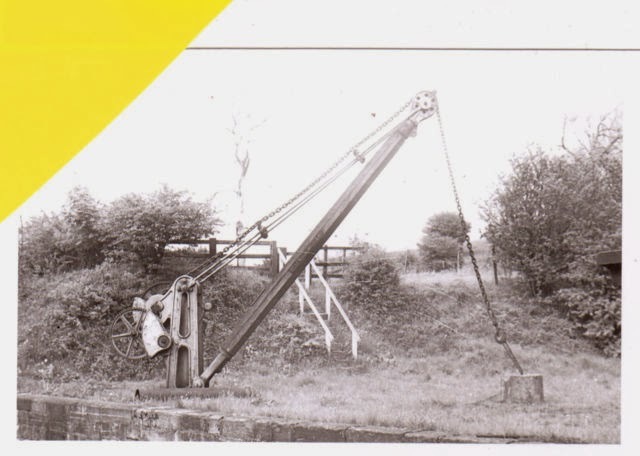 The PWT concentrated on the great drainage project at Gorsey Bank and the DST worked on the slide bars and steam heat fittings of Henry Ellison. The LMSCA fixed the south end gangway frame to their Third Open and made further progress with the guttering. The dmu team were in general maintenance mode as they sourced some spares for the Bluebell based vehicles, washed the fork lift truck and filed the spare bogies in a more convenient position. 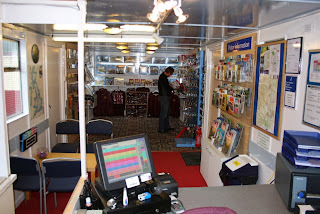 The Booking Hall had returned to near normal with the end product reflecting great credit on all involved. It has certainly turned out to be a Tardis suddenly becoming much more spacious than the previous configuration. It will be fascinating to see how the improved displays reflect to this year's retail sales. Angela, Martin and friends responded to a challenge to provide a photo opportunity for an Afternoon Tea product we intend to launch. They did very well in unheated arctic conditions but I hadn't budgeted for the rather unexciting views through the windows! Might have to be a bit of photo shopping. were primed and this kept Village Green busy most of the afternoon. with a minimum number of friction burns. A fairly pleasant start to the day but with a damp moment after lunch. Down the yard the LMSCA thundered along with the Third Open. The Station Foremen, having been despatched to Gorsey Bank to investigate a litter problem, collected a very large amount of rubbish indeed, thus restoring Gorsey Bank to its pristine state. Back in the Booking Hall, the marathon paint and shelf job continued and we will shortly have enough shelf space to be able to sell EVR branded garden gnomes. We received a visit by the VCT to Company Headquarters and their time was used for general servicing and fuelling of the Landrover with a very impressive wash of the vehicle. Much praise for looking after this much valued asset. A fence panel was tended to from an errant neighbour who had made a gap for his dog to defecate on Lynette's garden. 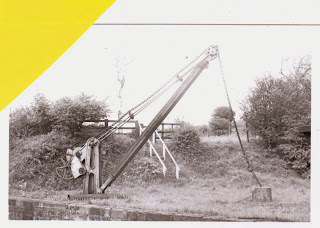 The VCT then decamped for further work south of Idridgehay. 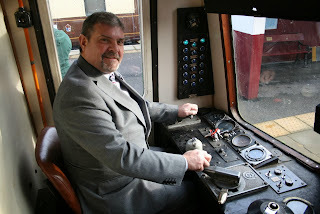 It's a funny old job looking after an heritage railway. 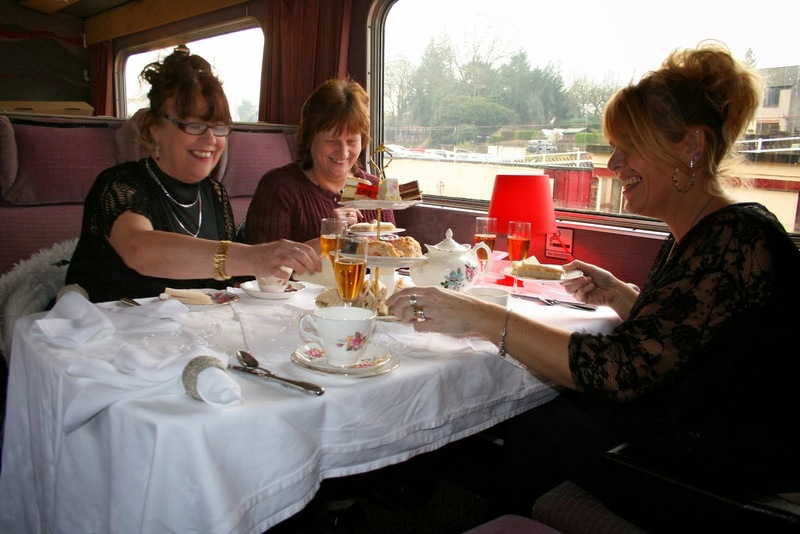 The PWT achieved great things as they tastefully graded the Pullman Buffet Car area and dealt with some very unpleasant contaminated ballast. Today's photo shows the rarely achieved movement of the Pullman set as it is returned to its usual berth. 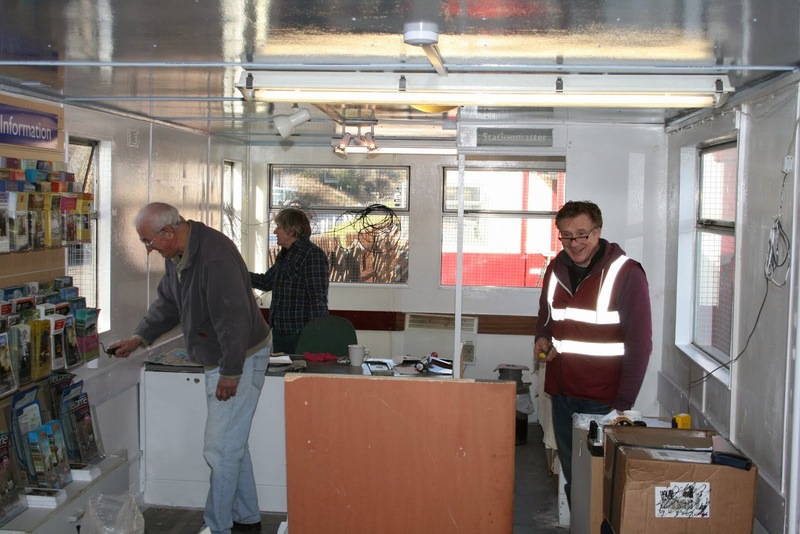 The M1M continued with their endeavours to produce a locomotive hauled multi purpose vehicle and the Cooke Team completed their 9th day of Booking Hall refurbishment. I'm not sure who we will get for the grand reopening. 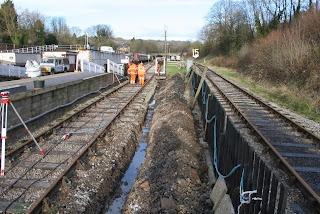 There was tremendous progress at Shottle yesterday with a channel cut for the platform drain and much muck shifted in connection with the loop project. Happily sales included two driver experiences today in the remote Training Room location. The "A" is in upper case following an observation by Vince Morris as a little observation that I should have mentioned the PWT recovered the cable yesterday. No wonder I question my sanity from time to time! The PWT travelled to Shottle today encountering Western Power who had been charged (sic) with dealing with trees that might affect the power lines south of Idridgehay. 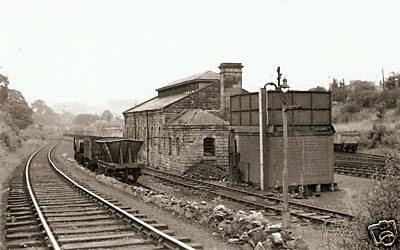 The end product was the return of the Komatsu and an empty wagon for spoil. The Cooke team entered day 8 of the Booking Hall makeover and the LMSCA continued with their restoration of the Third Open. The relocated Booking Hall received another Drive a Diesel Expeience and the planned Pullman Buffet Car modifications were delayed by more immediate domestic crisises. An Alan Plumb has sent the attached collection of photos from the past. Some have been seen before but there are some interesting new finds. The VCT were set a strange task at Duffield by the Footpaths Officer of the County Council to deal with a tree that had blocked a path adjacent to the railway at Duffield with a threat that this should be dealt with in 14 days or a prosecution would ensue. This turned out to be complete nonsense but the lively team of eight dealt with the problem and went on to deal with a number of other tasks that involved fires. Mike the Flail brought the Komatsu to Wirksworth for fuel and running repairs before setting of for Shottle and further lineside trimming. Today was Day 7 of the great Booking Hall project and conversion into the Wirksworth International Travel Centre. Today's photo illustrates how far the plan has progressed reflecting great credit on the Cooke family. June is specially posed with a paint brush in hand! The PWT were slightly frustrated from their original plan but achieved a useful removal of the southern foot crossing at Wirksworth that had been made redundant by developments over the past few years. The DST concentrated on the task of fitting a steam heating capability to Henry Ellison and the LMSCA continued with their work to seal the guttering on their Third Open. It was a delight to welcome Fred & Iris to the Mess Hall to cleanse this midden and shame today's attendees to at least wash their own crockery up. The M1M continued to work on their Second Open and a remarkable recycling of power cable resulted in the southern weighbridge being prepared for being connected up. The dmu team spent a day reorganising their stores as their head of department wrestled with the training of the Bluebell Railway personnel. 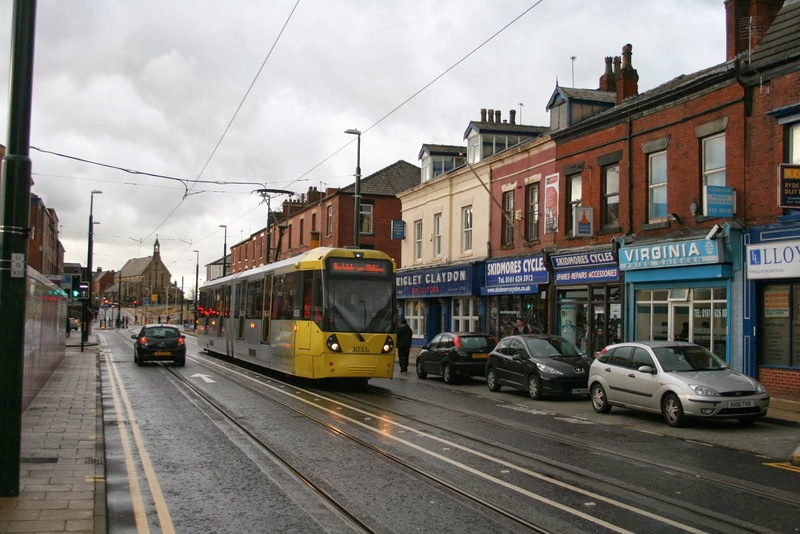 I welcomed a potential test customer that may result in a week's work and the relocated Booking Hall operative, Leigh, reported another coach company booking for two trips. I can't tell how uplifting this is as we are populating planned scheduled services with groups. 2014 is definitely "Focus on Footfall" as our costs are largely fixed but financial success is all related to load factors - so far, so good. round our parts saw Smiths Industries sanding the roof of the TO and giving the ends another coat of paint. Nearby, that part of the DMU team which hadn't gone to a railway close to the Black Pudding Capital of the World for some spares, engaged themselves in the erection of racking. 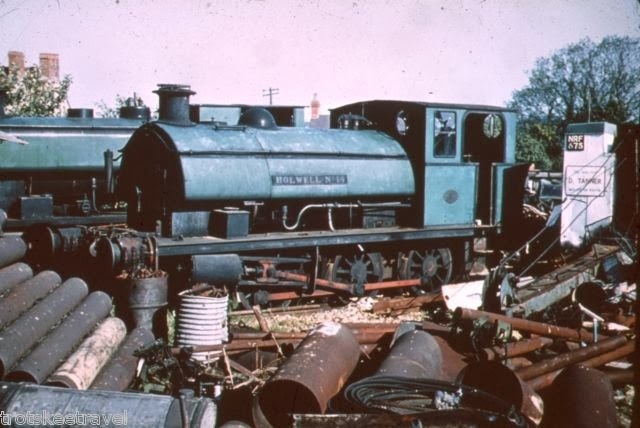 Down the yard the Austerity Team pursued excellence in the refurbishment of sandboxes. up, undercoat applied, panels sanded and the Tourist Information Centre's remarkable collapse-on-touch leaflet racks screwed together again. 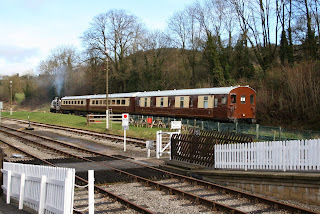 Another cold damp day here on Derbyshires friendly railway as we got to grips with shunting the pullman coaches out ready to take them out for a spin to Duffield. At 11,30 the class 33 and the two pullman coaches pulled out the station and completed a good run which included stopping on wet rails , sanded rails and emergency stops all went well including stops in Shottle to guage the coaches through the new platform and we arrived in Duffield with plenty of time spare to frequent the local fish and chip shop. Down the yard the Lmsca carried out further work on the third open. Oaks enterprises continued painting the duke with the 8f group. The Dmu group continued with the Booking hall renovation after their visit to the Chippy in Duffield. The Directors had their monthly meeting in the training room. The duty conscripts completed a good litter pick between Gorsey Bank and Ravenstaw. All in all a good productive day was had by all , special thanks go out to Mike , Jacob and Adam of the pioneer diesel group who provided the motive power for todays test . their workshop and Smith's Industries applied more paint to the Third Open. Nearby, Field Enterprises, being possibly the only member of the DMU team not selling his horn on the internet, carried on with refurbishing the cab of 50253. 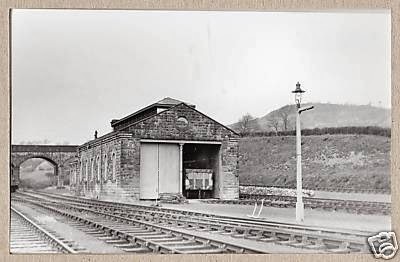 Back at the station, the Foremen were to be found dealing with downspouts and assisting Cookes Painters and Decorators with the multi-million pound Booking Hall refurbishment, in so far as "multi million pound" means we bought five paintbrushes. Refurbishment fever also spread to the EVRA shop and even resulted in some tidying of the wood store, a matter of some surprise, not least to the wood store. We welcomed the Secretary of State for Transport, Patrick McLoughlin, Managing Director of Trent Barton, Geoff Counsell and the Commercial Manager East Midlands Trains, Neil Micklethwaite today. Graham had the enviable task of teaching them all to drive the "Bubble Car" during the visit. The great drain project continue and a hole was established in the Midland Railway soil drain which is illustrated.and the team are looking into it! 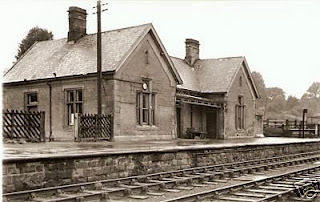 The Cookes continued with the Booking Hall makeover and the LMSCA pursued the maroon paintwork on the new steel cladding applied to the Third Open. The M1M beavered away at the Second Open as this vehicle begins to take shape. The dmu team turned their attention to L J Breeze and weaved some magic into the marker and headlights. The "Bubble Car" was prepared for a special role tomorrow. 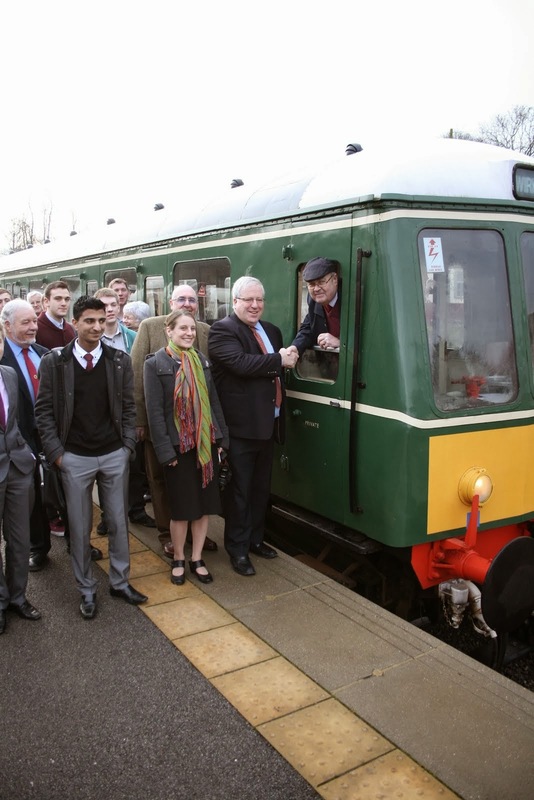 Many congratulations to our youthful dmu team for achieving Railcar of the Year for their splendid efforts with Class 119 W51073. A Spring like day, this morning anyway, heralded the commencement of the drainage project for the Pullman Buffet Car as the attached photo shows. The Permanent Way Team also took the opportunity to jack, pack and redistribute ballast on Roads 2 & 3. The contractor and his mini digger was also employed to trench a route for a cable to the southern Weighbridge ensuring maximum productivity for his day with us. The Cooke team continued with the Booking Hall reconfiguration and the relocated Sales Office had yet more gains in revenue for us. 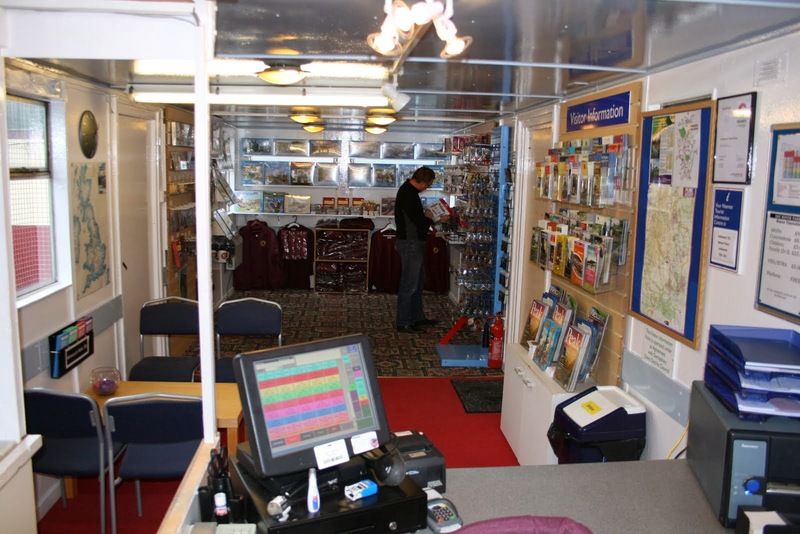 The lone dmu team member sorted stores after and exhausing time "down south" to ensure our loaned two car set was ready for service on the Bluebell Railway. If you go onto the Bluebell Railway main site it leads you to photos and videos of the very unusual presence amongst their collection of steam locomotives. PPS - for those of you who participate in our steam and diesel experience days all known requirements for 2014 are now available on the Rota site. It never ceases to amaze how people demonstrate skills unexposed before. 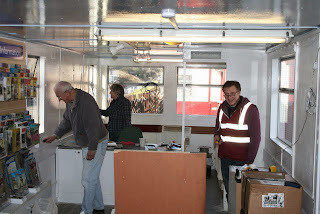 A slightly out of focus photo shows the Cooke team beginning to reshape the Booking Hall in conjunction with Anton and members of the dmu team behind the lens. Their ambition to make the best out of a beyond its sell by date building to increase visitor spend is to be highly commended. Another victory today which we believe arose from the Coach Operators mailout was a tentative booking for 10 single journeys as part of a coach tour programme, this is really the way to go! 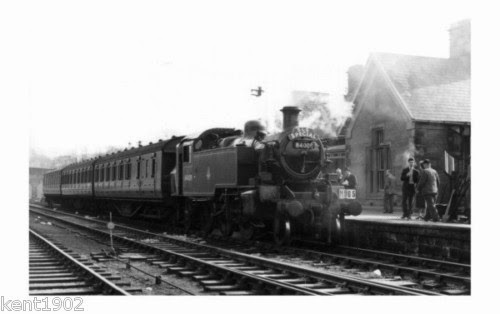 As is usual on Tuesdays there was a major turnout of volunteers with Fred & Iris leading the charge to cleanse the Booking Hall and the VCT descending on an area south of Idridgehay with a team of seven and reported two large fires of hawthorn and briers. 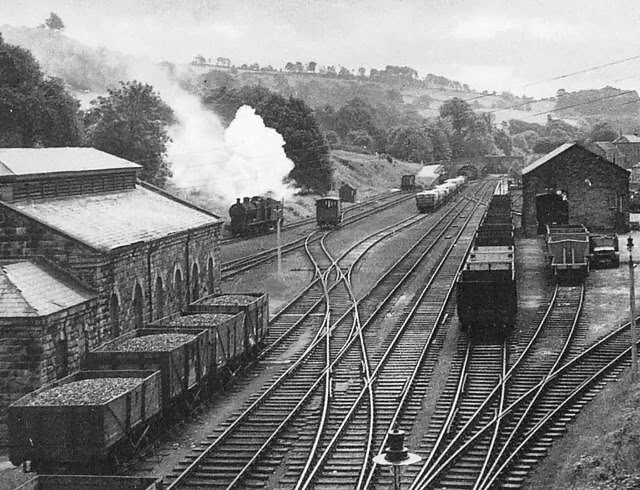 Mike the Flail made further inroads to the lineside vegetation and the DST began the slow progress of preparing to fit steam heating to Henry Ellison and tended to the springs of Cathryn. 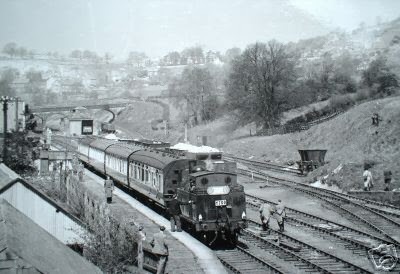 The PWT concentrated on jacking and packing Road 2 through the platform at Wirksworth after moving the Pullmans to Platform 3 which will allow for some modifications to the Buffet Car. The dmu team moved their remaining vehicles to the Maintenance Facility so that all is clear for the loco hauled set to enter Platform 1. The LMSCA turned their attention to the roof hoop of the Third Open. A strong feeling that things are coming together to maximise the short window of opportunity before the World comes alive again in mid February. There are also signs that mytesttrack.com is rising from its slumbers after a very fallow period. http://youtu.be/xADn5ajTBEg - interesting that you can travel some of the route by light rail now! 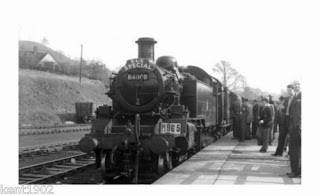 An extract from Standard 8 cine film taken during the RCTS tour of the Denby, Wirksworth and Melbourne branches. Certainly not Ivo Peters but captures a little of our history. Cine film was amazingly expensive so had to be used sparingly! several jumpers. The main theme appears to have been tidying up, and although a twinge of welding took place on unit 50253 the DMU team were found to have cloned themselves into several parts, with one part emptying Johnny in the car park and then re-filing the contents in their proper order so that we can actually find things we need. we're in there. The Training Room remains available for booked meetings. The rest of the DMU team spent the day dealing with phase 2 of the vast multi-million pound Booking Hall refurbishment project, which mainly involved demolition. A new design, based on the station office at Bewdley on the Severn Valley Railway, which is well-known to contain an open fire, a ladies maid and a shagpile carpet, is being worked up. A cold damp day on Derbyshires friendly railway as we shunted the two Mk2 pullman coaches from the buffet then tested their brakes with the PDGs class 33 before placing them on platform 3. The Dmu team were here in force working on the strathclyde unit. The Lmsca continued with pre painting on the third open. 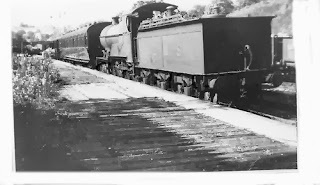 The 8f group worked along Oakes enterprises on the sand boxes of the Duke. 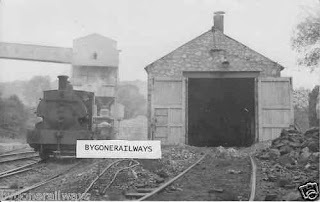 The afternoon saw the Station Foremen gathered round a hole in the Booking Hall floor and this has now been repaired with a view to us having the only Portacabin in the country to be listed as an ancient monument 300 years from now. Down the yard, the LMSCA, oblivious to the vast excitement that is a wet Friday, carried on with painting the Third Open, and the buffet continued its seasonal evacuation. Hooray!! 2nd of Jan at last and it's down hill till the clocks go forward. Roll on summer. 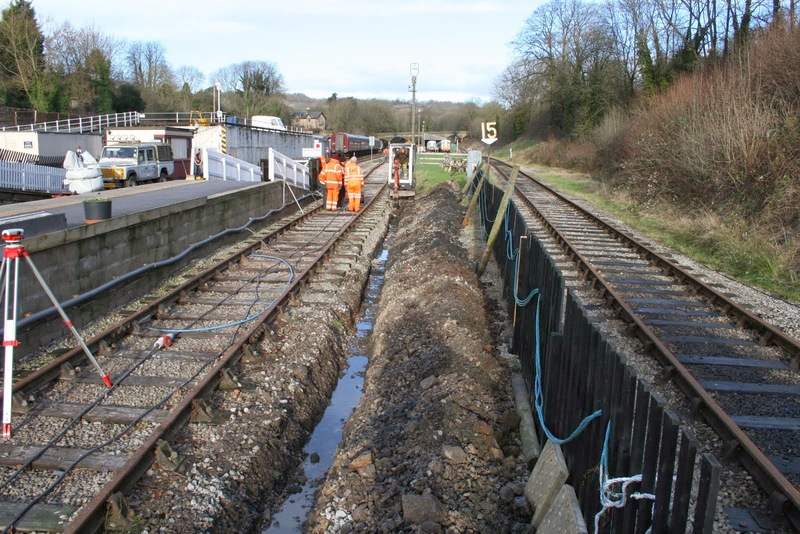 Pway at Shottle again today moving the TSR South, clearing up the rest of the unused copings and regrading the unused part of Shottle platform - footings have been left intact so reconstruction can go ahead in the future if required. 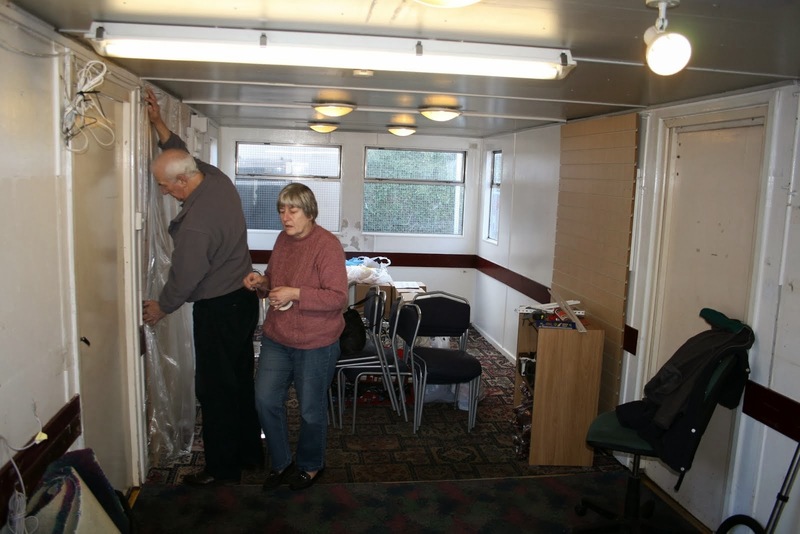 LMSCA busy with more painting preparation on the LMS 3rd open. DMU team painting yet more guards compartments- this time on Met Cam 50253. Shunting carried out to release the DMU bogies in advance of next week's shunt. Another shunting course carried out by John Evans. DMU stock de decorated and cleaned after Santa by LCC and team. Another terrible day weather wise but passenger numbers were still strong, with many enjoying our fizz. The Booking Office was prepared for the forthcoming internal redecoration in between services. Down in the shed, the DMU Group worked on 50253 with a coat of gloss going on the guards van ceiling and some bodywork also took place. The rest of the group brightened the day up with some more shed improvements. 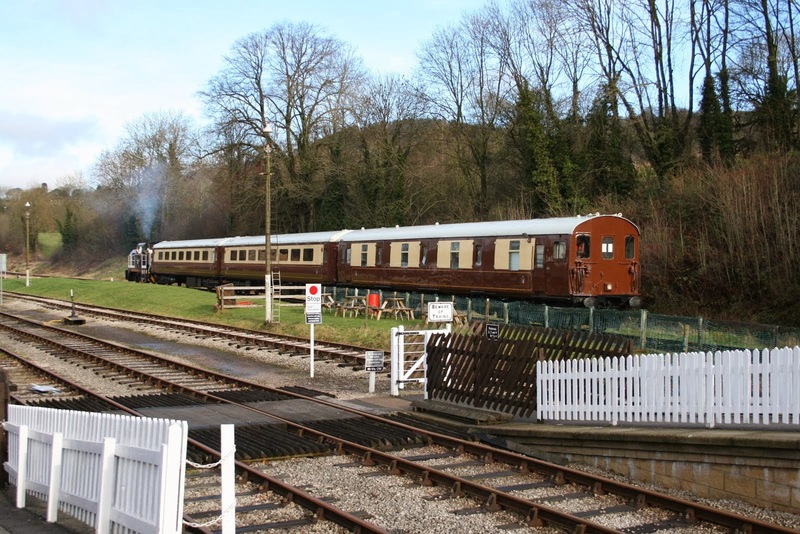 Please note that the Pullman Buffet is now closed until Feb half term for maintenance work.